From the archives > Happy holidays! 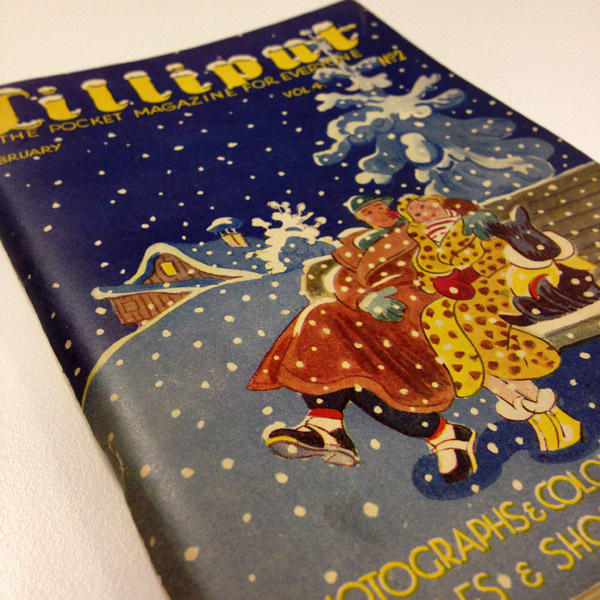 The cover of this great little magazine from the 1930s sums up the Christmas season for us here at CMYK. 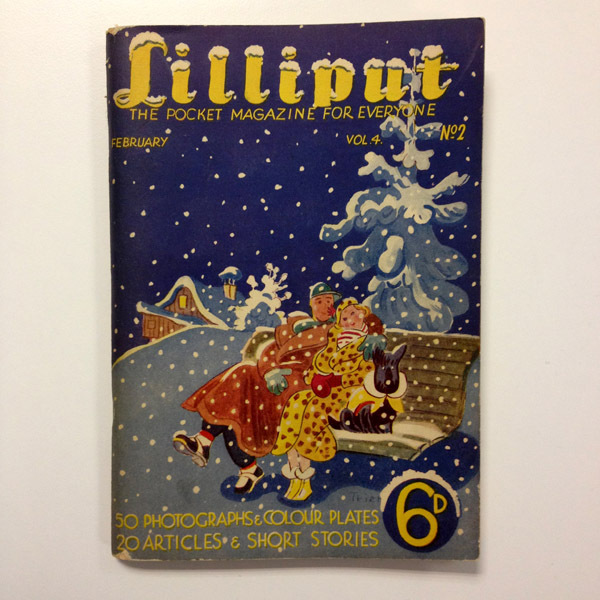 Lilliput was “the pocket magazine for everyone”, and showcased great photography, short stories, and illustrations – as seen here on this wintry cover, drawn by Walter Trier. The little Scottie dog appeared on all the covers along with his owners up until 1949. Have a great holiday season, and see you on the other side!